Add sophisticated simplicity to your cabinetry with the Liberty 2-1/2 in. Satin Nickel Tapered Bow Pull. The zinc die-cast base material is finished in a handsome satin nickel finish. Mounting hardware included for easy installation. 64mm Tapered Bow Pull Add sophisticated simplicity to your cabinetry with the Liberty 2-1/2 in. Satin Nickel Tapered Bow Pull. 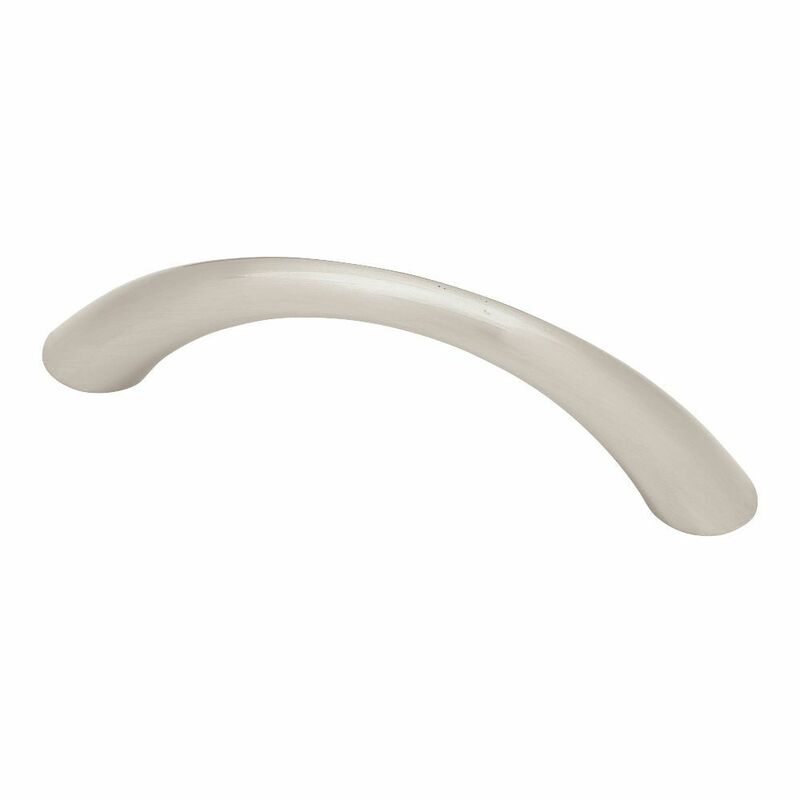 The zinc die-cast base material is finished in a handsome satin nickel finish. Mounting hardware included for easy installation. 64mm Tapered Bow Pull is rated 4.7 out of 5 by 50. Rated 5 out of 5 by LeeT from Like that it has 2 sizes of screws included.... Like that it has 2 sizes of screws included. Rated 5 out of 5 by Brian from Redoing 2 dressers. Ordered 22 everything was as it should... Redoing 2 dressers. Ordered 22 everything was as it should be and worked great. Rated 5 out of 5 by TheSolution from Just the right fit to replace 1950’s hardware on a... Just the right fit to replace 1950’s hardware on a chest of drawers. I’m haapy with my choice. Rated 4 out of 5 by Donna from Quality is equal to price.... Quality is equal to price.